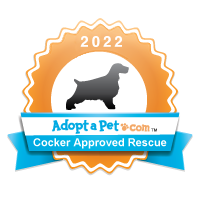 Thank you for your interest in Cocker Spaniel Resources, Inc. and Golden Age Cocker Retirement. On this page you can find a myriad of resources including information packets, lists, application and adoption forms. If you need assistance locating a specific document, please feel free to contact us for assistance.